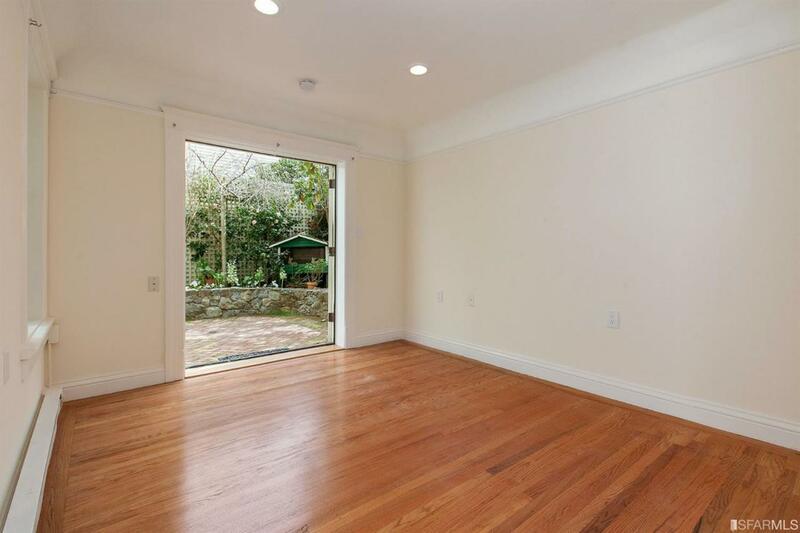 Private brick garden entrance gives access to this one bedroom home or to the exclusive sunny back yard with brick patio and stone retaining wall with landscaped garden...perfect for two pets or their owners. 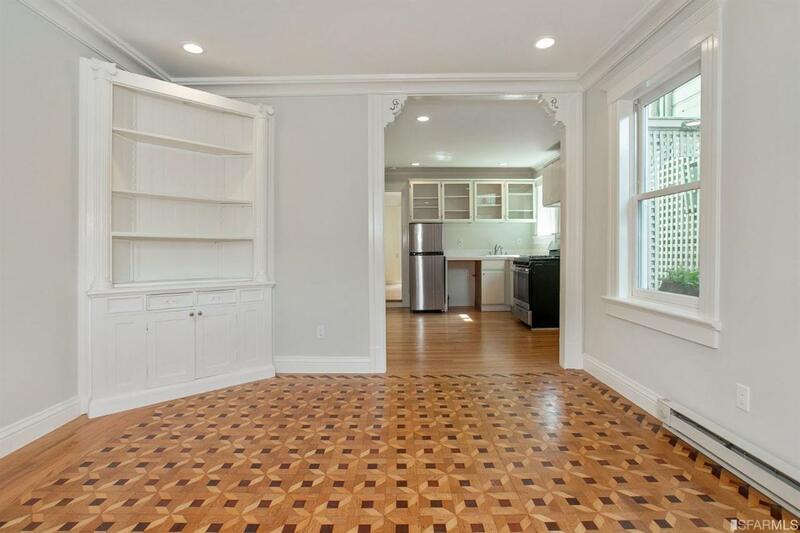 The home has hardwood floors, indoor laundry, old world charm, new appliances, extra storage and lots of natural light. 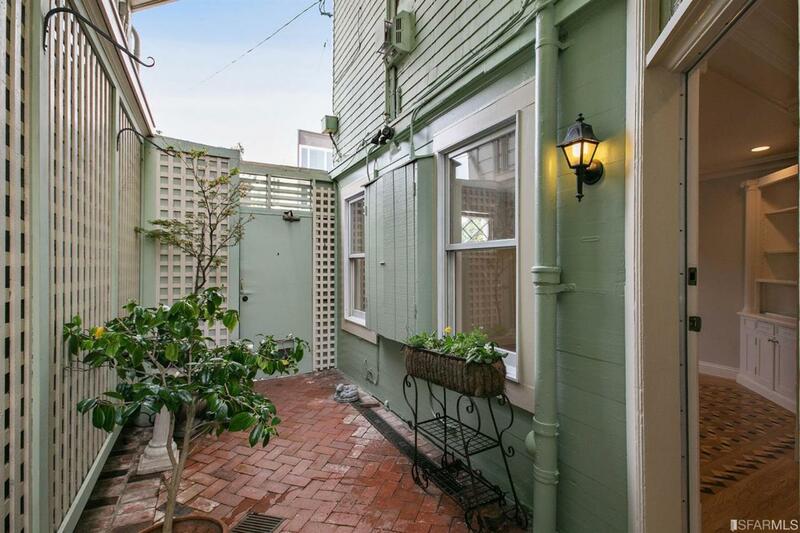 This is one of a kind in Pacific Heights in this price range. 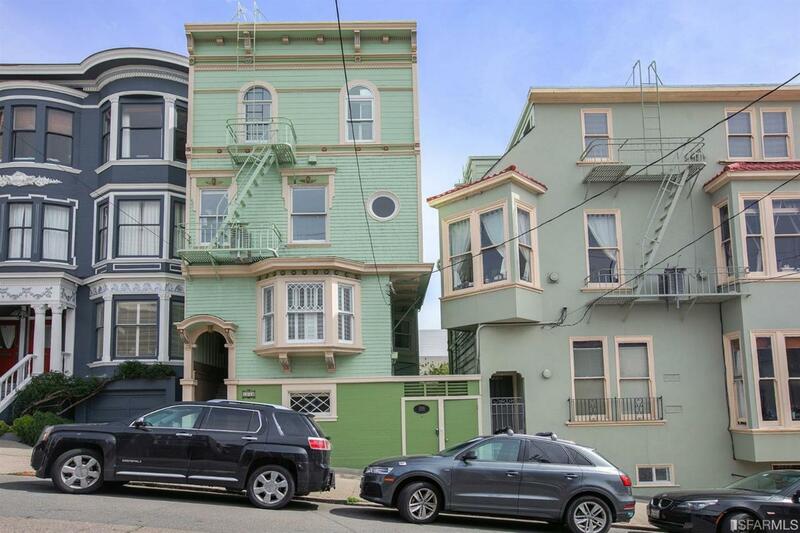 Listing provided courtesy of Ren Grendahl of San Francisco R.E. Svcs..